If your family spends a lot of time in the car driving to practices, games, performances, or even vacation destinations, you know that keeping the car clean and tidy can be challenging. By using a few of these tips, you can establish an organized auto... even with kids on board. 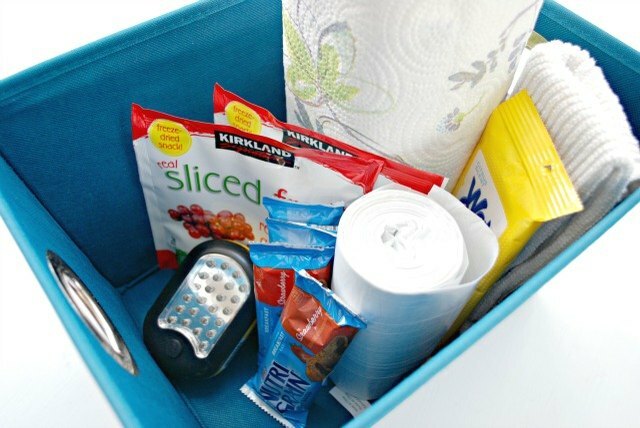 Use a fabric bin to hold snacks, paper towels, wet wipes, a roll of small trash bags and a flashlight in your trunk or on the floor in front, if you happen to have extra space. You never know when you may get stuck somewhere with hungry kiddos. Pack paper towels, trash bags and handi wipes to clean up messes and messy hands while on the go. A flashlight is always helpful just in case it's dark and you or your kids are having trouble finding things. 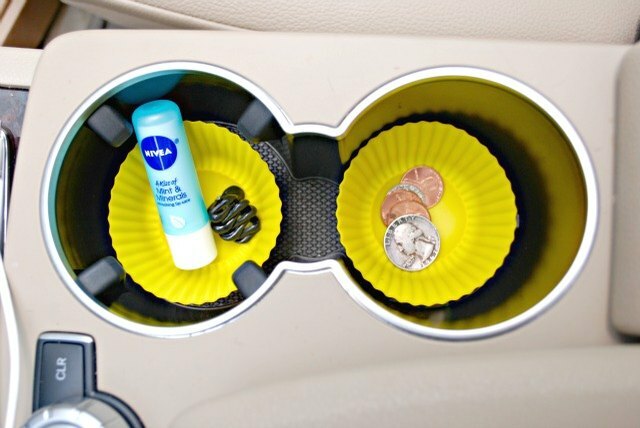 Use silicone cupcake liners to corral small items like loose change, lip balms and small items in your cup holders. They are also great for keeping drinks from sweating or leaking in your car's cup holder. Plus, silicone liners are easy to clean and they're reusable. Electronics and kids seem to go hand in hand these days. You can keep them together in a plastic baggie -- just be sure to write your kids' names on the bags. This way, everyone has their own electronics all in one place. 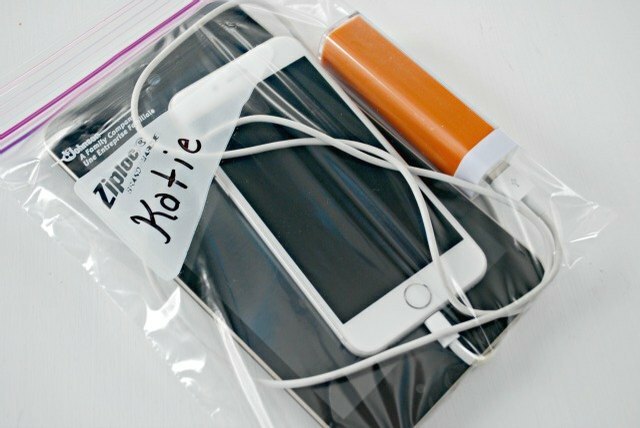 I like to include a portable charger in each of their bags so they aren't asking me to charge their items in the car. 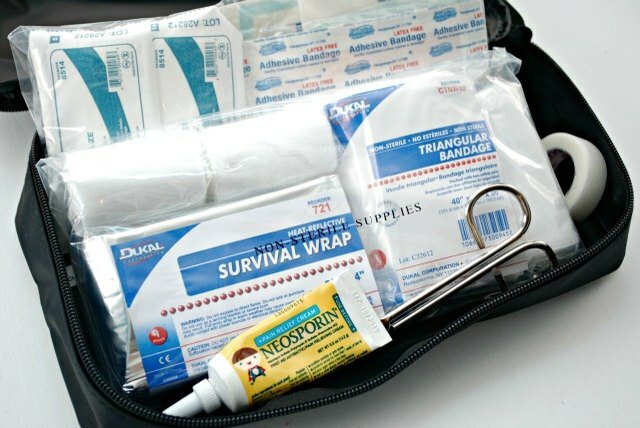 Gather items for a first aid kit in a makeup or travel bag so you can treat cuts and scrapes on the go. 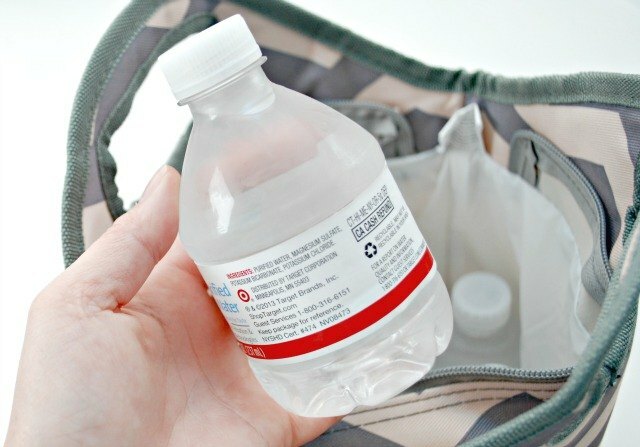 Pack a small insulated cooler with small waters to keep everyone hydrated while in the car. I like to stick with waters because if they spill in the car, it's not the end of the world. Using a cooler is key, especially during the hotter months. No one enjoys the taste of water that's been sitting in the car for a while! Use cookie sheets for trays in a car. These are great for meals and snacking while in the car and can pull double duty as a play surface. 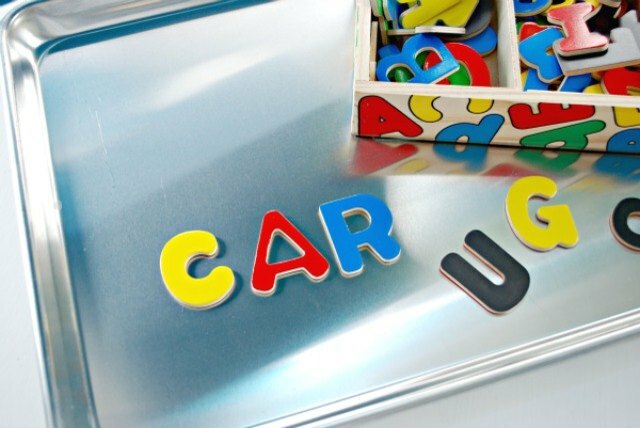 Magnetic letters can stick to them, and they are also great for using as a writing surface for homework on the go. Use extra reusable shopping bags to pack blankets and pillows for long trips or late night driving. These bags are also perfect for packing dirty clothes after practices so you can easily bring them in for laundering. What are your tips and tricks for keeping the family car organized and clean? Share with us in the comments below!